WHO DOESN'T LOVE FRIED THINGS RIGHT? Here is a fun way to make a real decadent southern dinner. Southern fried seitan filets! Serve like you would a country fried steak with smashed potatoes and gravy, maybe some creamed corn, whatever you want! Mix all the buttermilk ingredients in a bowl and let sit while you prepare your filets. Take your BE Hive seitan filets and using a fork, poke your filets a bit just to make some spots for the “buttermilk” to get on in there. Place your filets in the buttermilk mixture and set aside while you mix your dry ingredients in a separate bowl. Heat a high smoke point oil such as peanut or canola to 350 degrees in a dutch oven or other large heavy pot. One at a time, take your buttermilk filets and dredge them in your dry mix thoroughly, knock of the excess and slowly drop into the oil. Don’t over crowd the fat pool, or the seitan kids are gonna get bummed and not fry crispy. Fry for 6 mins or until these dudes are golden and crispy. Serve over some smashed potatoes with gravy and you have some serious southern comfort food for these rainy winter days we have ahead. 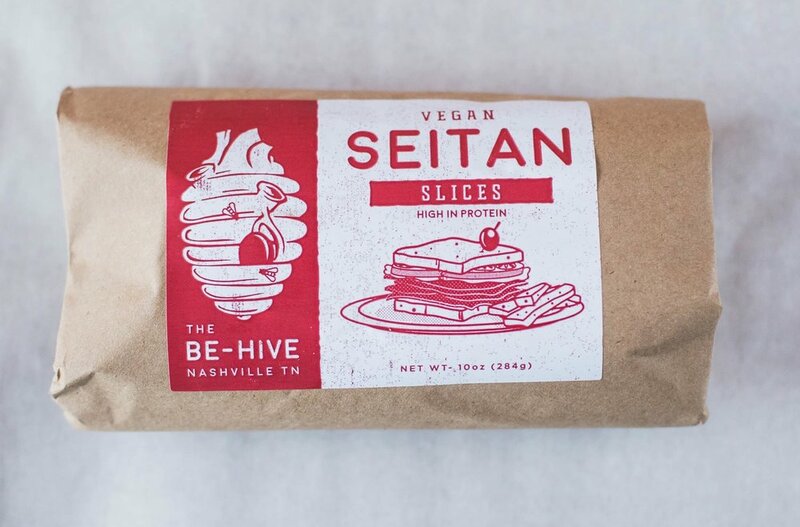 Seitan is SO VERSATILE, all the choices can be overwhelming. So we wanted to put together some basic instructions for you! Firstly: Keep Refrigerated OR throw in the freezer until needed! Chorizo: We believe the best way to enjoy this product is to saute it in a skillet with a little oil until browned. This brings about a great texture and flavor that compliments any scramble, taco, or burrito! Filets: We believe the best way to enjoy the filets in either on the grill or seared in a skillet with a little oil until browned! Slices: These are great cold, but can also be sauteed in a pan to fill a warm sandwich like a philly or a reuben! One of our favorite ways to enjoy the Seitan Filets is in a classic taco. · We like to take a little oil and sauté some thinly sliced jalapeño, minced garlic and dark chili powder until the chili powder is toasty and you can smell it in the air. · Slice your filets into small strips and throw them in the pan, continue cooking on medium high heat until browned. · Deglaze the pan with a little pineapple juice, apple juice or sauce or a little water and you have the perfect protein packed filling for tacos. · Don’t forget to toast your tortillas over flame or in a hot, dry pan. ·Top with cilantro, onion, and a squeeze of lime and you’re in taco heaven.